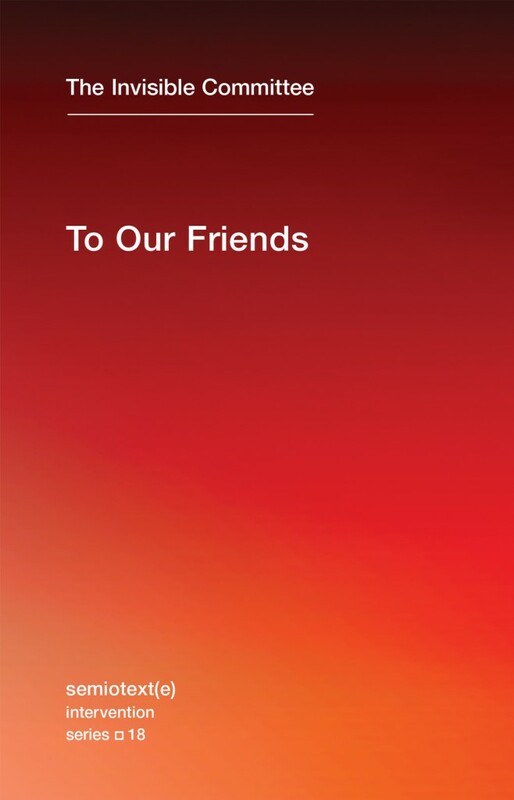 If you’re a publisher or an author with a forthcoming book, let us know! Email us at tips@critical-theory.com. “Antiblack racism avows reason is white while emotion, and thus supposedly unreason, is black. 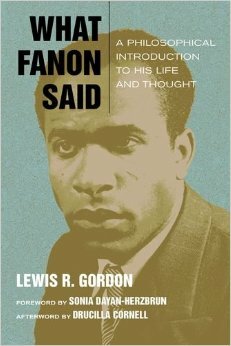 Challenging academic adherence to this notion, Lewis R. Gordon offers a portrait of Martinican-turned-Algerian revolutionary psychiatrist and philosopher Frantz Fanon as an exemplar of “living thought” against forms of reason marked by colonialism and racism. 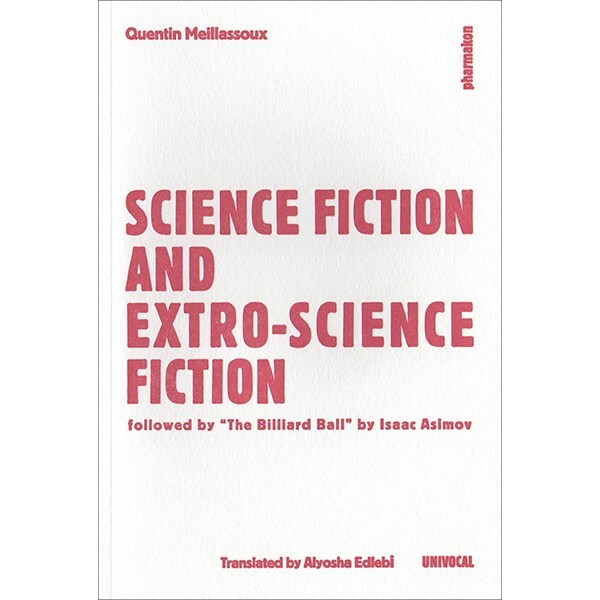 Working from his own translations of the original French texts, Gordon critically engages everything in Fanon from dialectics, ethics, existentialism, and humanism to philosophical anthropology, phenomenology, and political theory as well as psychiatry and psychoanalysis. “Kristin Ross’s new work on the thought and culture of the Communard uprising of 1871 resonates with the motivations and actions of contemporary protest, which has found its most powerful expression in the reclamation of public space. 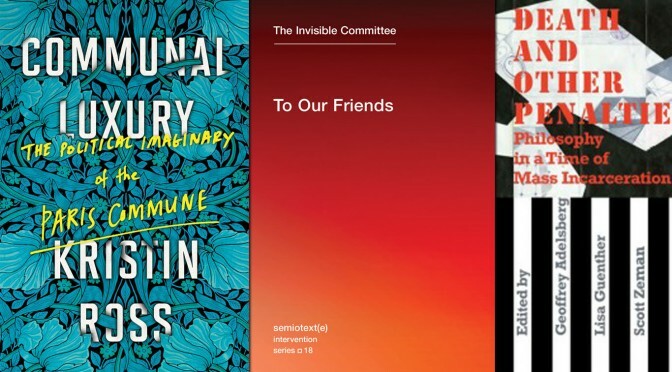 Today’s concerns—internationalism, education, the future of labor, the status of art, and ecological theory and practice—frame and inform her carefully researched restaging of the words and actions of individual Communards. 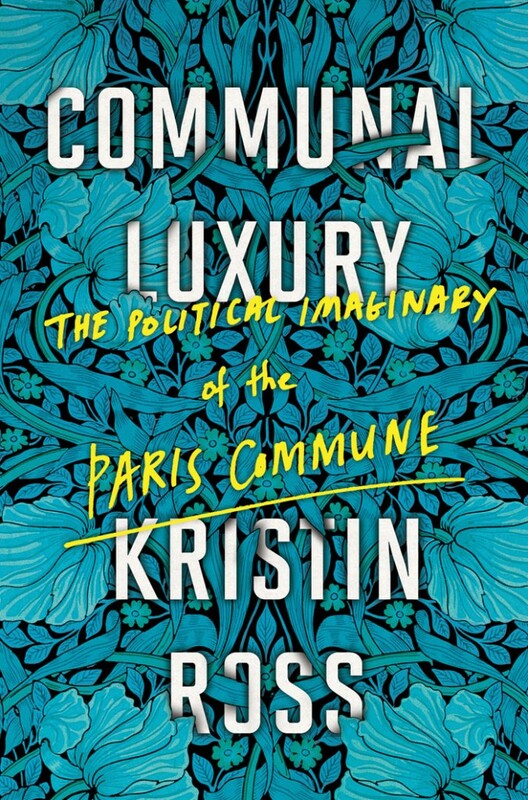 This original analysis of an event and its centrifugal effects brings to life the workers in Paris who became revolutionaries, the significance they attributed to their struggle, and the elaboration and continuation of their thought in the encounters that transpired between the insurrection’s survivors and supporters like Marx, Kropotkin, and William Morris. “Could it be that the more we know about the world, the less we understand it? Could it be that, while everything has been explained, nothing has meaning? 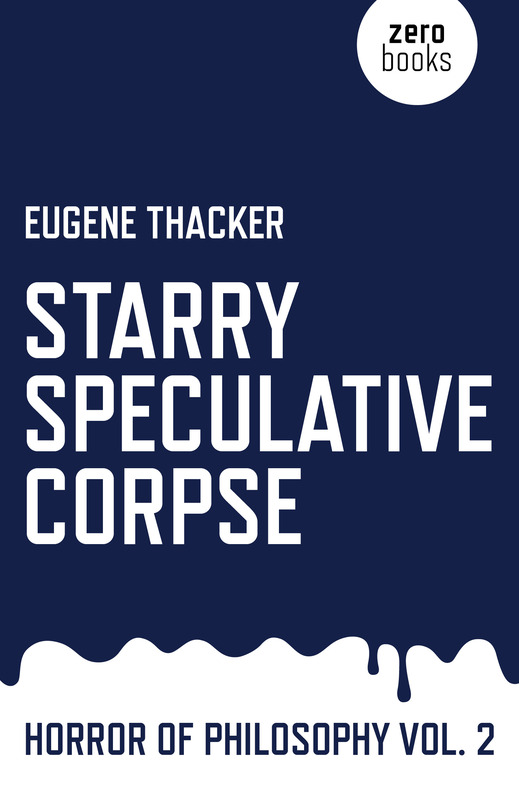 Extending the ideas presented in his book In The Dust of This Planet, Eugene Thacker explores these and other issues in Starry Speculative Corpse. 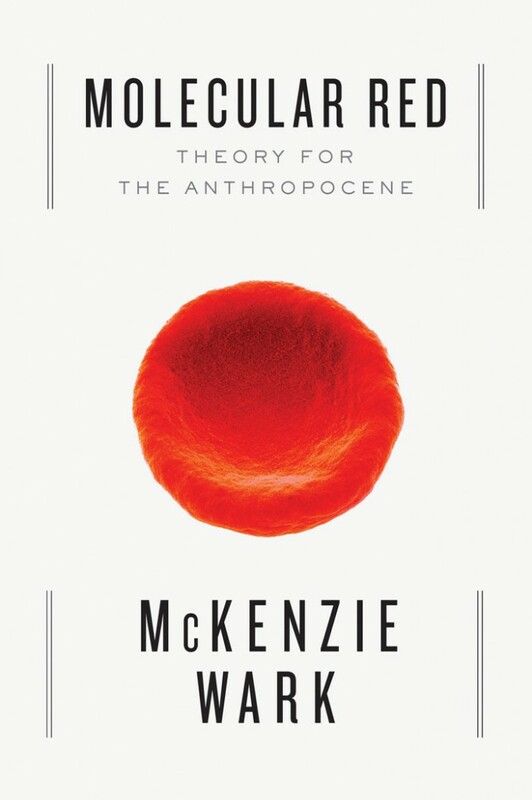 But instead of using philosophy to define or to explain the horror genre, Thacker reads works of philosophy as if they were horror stories themselves, revealing a rift between human beings and the unhuman world of which they are part. Along the way we see philosophers grappling with demons, struggling with doubt, and wrestling with an indifferent cosmos. 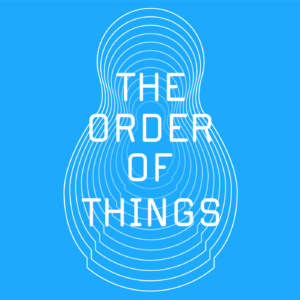 At the center of it all is the philosophical drama of the human being confronting its own limits. Not a philosophy of horror, but a horror of philosophy. Thought that stumbles over itself, as if at the edge of an abyss. “Our contemporary horror stories are written in a world where there seems little faith, lost hope, and no salvation. All that remains is the fragmentary and occasionally lyrical testimony of the human being struggling to confront its lack of reason for being in the vast cosmos. This is the terrain of the horror genre. 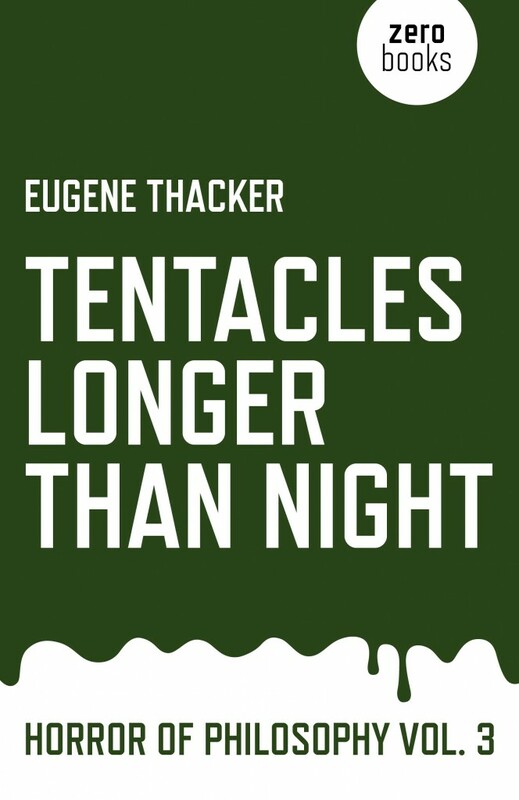 Eugene Thacker explores this situation in Tentacles Longer Than Night. Extending the ideas presented in his book In The Dust of This Planet, Thacker considers the relationship between philosophy and the horror genre. 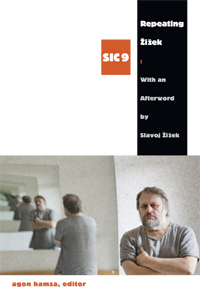 But instead of taking fiction as the mere illustration of ideas, Thacker reads horror stories as if they themselves were works of philosophy, driven by a speculative urge to question human knowledge and the human-centric view of the world, ultimately leading to the limit of the human – thought undermining itself, in thought. 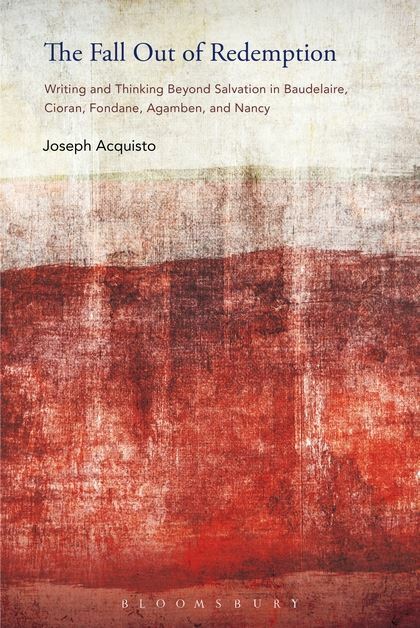 “Joseph Acquisto examines literary writers and critical theorists who employ theological frameworks, but who divorce that framework from questions of belief and thereby remove the doctrine of salvation from their considerations. Acquisto claims that Baudelaire inaugurates a new kind of amodern modernity by canceling the notion of salvation in his writing while also refusing to embrace any of its secular equivalents, such as historical progress or redemption through art. 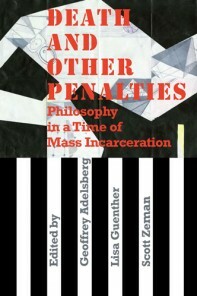 “Motivated by a conviction that mass incarceration and state execution are among the most important ethical and political problems of our time, the contributors to this volume come together from a diverse range of backgrounds to analyze, critique, and envision alternatives to the injustices of the U.S. prison system, with recourse to deconstruction, phenomenology, critical race theory, feminism, queer theory, and disability studies. 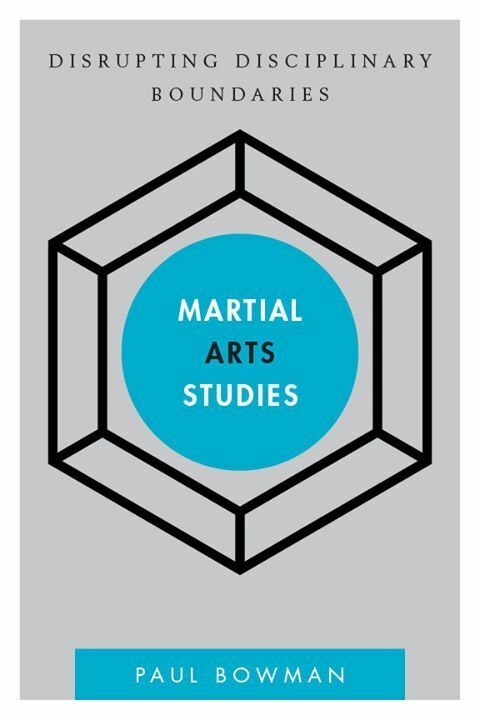 They engage with the hyper-incarceration of people of color, the incomplete abolition of slavery, the exploitation of prisoners as workers and as “raw material” for the prison industrial complex, the intensive confinement of prisoners in supermax units, and the complexities of capital punishment in an age of abolition. 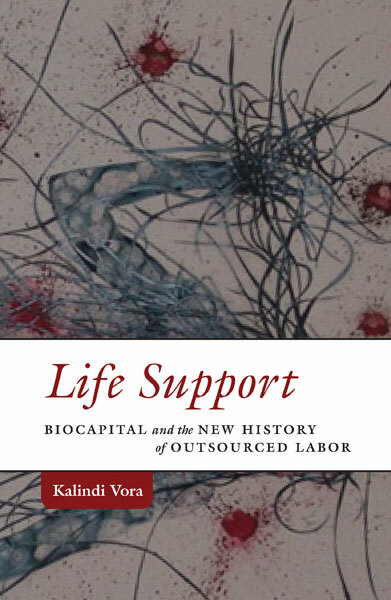 “From call centers, overseas domestic labor, and customer care to human organ selling, gestational surrogacy, and knowledge work, such as software programming, life itself is channeled across the globe from one population to another.